Ready for it? The perfect wedding day timeline. Okay, it’s true. We always tell our clients that what’s right for one couple may be totally opposite of what is right for another. 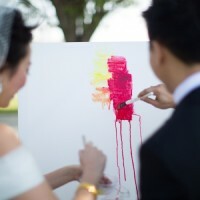 So why did we make an all-encompassing comment like “the perfect wedding day timeline?” Well first, we wanted you to click this article. 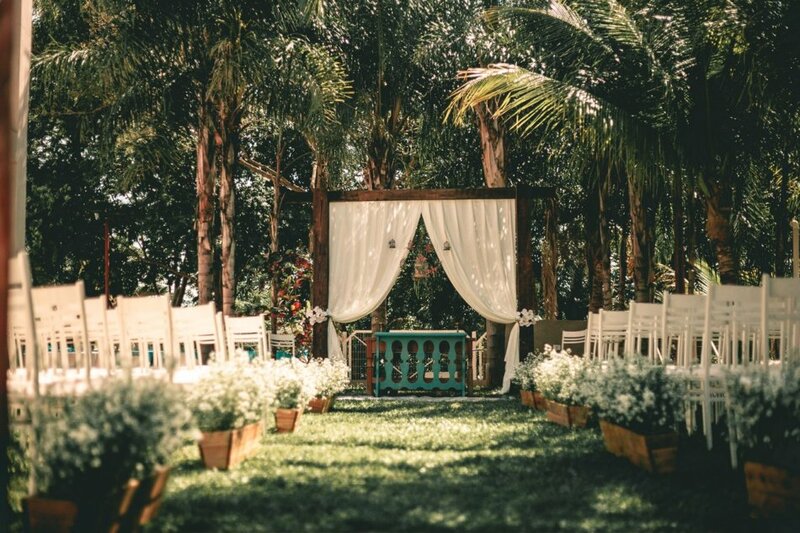 😏 But most importantly, whether your wedding is longer or shorter, a brunch wedding or an evening wedding, party-style or low-key, this timeline is the perfect starting point. It’s always easier to tweak a template than it is to start from scratch. This timeline may have items you’re not particularly fond of. And that’s okay — just cut those out (for example, only about 30% of our clients choose to do both the garter and bouquet toss with most cutting one or both of them). This timeline may even be missing items that are important to you. Same concept — just add them in. 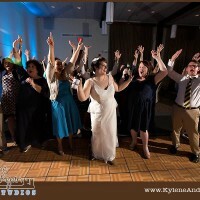 You may find that your ceremony may be shorter than the example or that you want more dancing time and want to extend your overall timeframe (we have a lot of clients who do just that). Also, we should note that this timeline is from the DJ/MC perspective (or in other words, this is more the “official timeline” much like what your guests would see rather than every behind-the-scenes item that leads up to it), and therefore only begins when the first song starts. So it doesn’t include hair/make-up, first look photos, or that pre-wedding spa treatment. 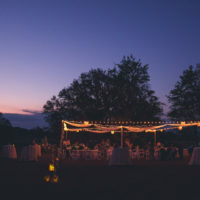 We also concede that there is no perfect exact times of day for a wedding day timeline, because a lot of it depends on sunset time, which changes throughout the year (more on that below). So this timeline can absolutely be shifted as well. To sum it up, let this timeline be your starting point and together with our help, you can make it the perfect timeline for your wedding. Okay, now that we’ve had a chance to explain ourselves, let’s jump right in! 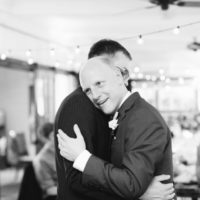 For those Type A brides/grooms who like to nerd out on the details and the “why” of each item, let’s break this wedding day timeline down a little shall we? But first, please don’t let us or anyone else tell you that any item on this list is a “must.” This is your wedding and you can nix anything on that timeline that makes you uncomfortable or just seems like a pointless waste of time. Equally true, if you’d like to do something fun you’ve seen at another wedding (or start a new tradition entirely) that isn’t on this list, add it in there! 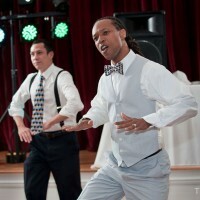 These are simply the items that we tend to see at many of the weddings we DJ. Most ceremonies we’ve performed last about 15-40 minutes long. 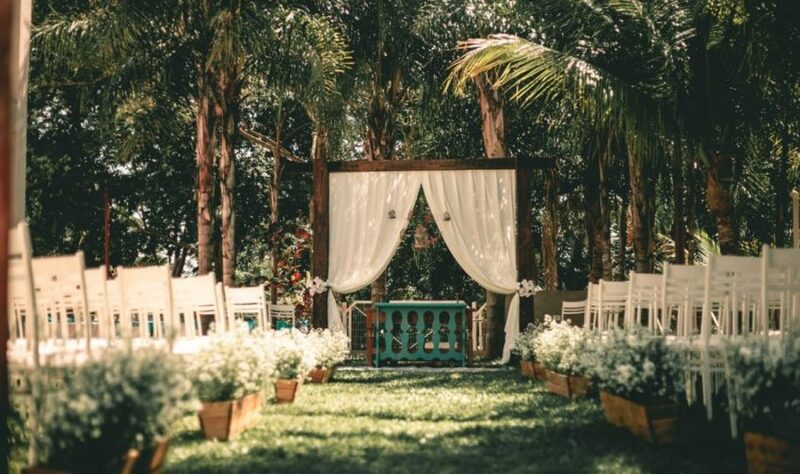 A good sweet spot to plan for is 30 minutes, but you can speak with your wedding officiant to get a better idea of how long they plan to take it (plus take into account the walking down the aisle and exit time). So, for example, if the officiant tells you 20 minutes (which is very common), you can plan for a 30-minute total ceremony time including walking/escorting down the aisle. Otherwise, feel free to adjust this length based on your unique situation. While it’s called “cocktail hour,” your cocktail hour on your wedding day timeline neither has to be an hour long nor does it have to feature specialty cocktails. The only purpose of cocktail hour is to entertain your guests while they wait as you take photos after the wedding ceremony. 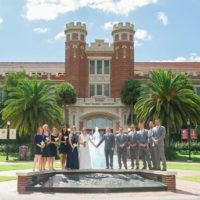 In general, photos tend to take about 45 minutes (plus the 10-15 minutes to gather the wedding party, line them up and ready them for introductions), hence the hour in our sample timeline. However, ask your photographers about how much time they’ll plan to take and feel free to adjust accordingly. 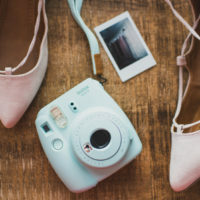 For example, if you take some photos before the wedding ceremony (lookup “First Look Photos” — you’ll either love the idea or be morally opposed), your photo time after the wedding wouldn’t have to be as long. There are a lot of factors that play into the length of photos and again, your photographer is the best person to confirm. Traditionally, when you arrive at your reception, you are introduced, along with your wedding party (if you like) and your parents (much less common/popular, but also an option). 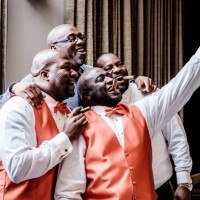 The order typically goes like this: Parents, then the Wedding Party (in reverse order so that Maid/Matron of Honor and Best Man are last), the Newlyweds. It’s a nice flow to introduce the two of you and then fade gracefully into your First Dance song (P.S. 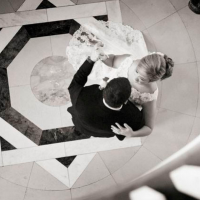 be sure to check out our article on How to Choose Your First Dance Song! ), followed by your dances with your parents. Keep in mind, you don’t have to dance during the entire length of the song for all three (or even any) of the songs, so feel free to tell your DJ to be prepared to cut it short, if you want! 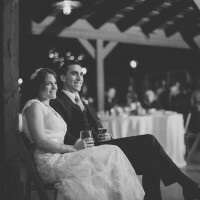 The length of dinner on your wedding day timeline will depend on a few factors. First the obvious factor: The amount of time it takes to serve food to your entire guest list. But, there’s something else important here. Let’s say you’re one of our couples believes it’s important for them to visit each table to thank their guests who have come near and far to celebrate with them on their wedding day. If you look closely at the timeline above, you’ll notice that during dinner is really the only good time you’ll have to do that. You obviously can’t do that during your ceremony itself, during photos, during your special dances, during toasts or cake cutting, etc. And once the dance floor opens, your early-goers will slip out and you’ll want to dance while the music is turned up and lights dimmed down. So that leaves dinner. Let use be clear: We are absolutely not advocating that you, “just go ahead and accept that you won’t eat at your wedding.” In fact, you’ll have a lot of friends, family and strangers tell you this. Don’t buy it. You need to eat at your wedding and there is nothing wrong with prioritizing your sustenance. After all, your wedding day will be very long, and you need the energy for the party at the end! So, we typically find an hour allocated to dinner to be just right. You’ll be the first to get your food and by the time you’re done, you can start visiting tables and the whole thing will likely take about an hour. We’ve started recommending that clients have their cake cutting before toasts/speeches, because one of the most common mistakes DJs make is to cut the cake and then immediately open the dance floor. The problem with this? You’re forcing your guests to choose between cake and dancing (which, we believe is frankly inhumane). If you do this, some will choose dancing over cake and never get a bite of that cake they’ve been eyeing all night. And some will choose cake over dancing, leading to an opening of the dance floor that is not as strong as it could be, and who wants that? So, you could allocate about 15 minutes after people eat their cake before opening the dance floor OR you could simply use toasts/speeches to fill that time for you. The key here is to make sure your catering staff can serve the cake during the speeches. The last thing you want is to have a long line of guests waiting for cake while the Maid of Honor delivers her speech to a half-empty room of tables. While we have no idea how long each toast will actually last (because each individual giving a speech will choose what they will choose), a general rule of thumb for timeline-purposes is five minutes per toast. Some will take longer, and some shorter and it all tends to wash out in the end. One tip: For anyone who is not the Maid/Matron of Honor, Best Man or Parent, consider having them toast at the Rehearsal Dinner instead of opening up the mic to anyone during the reception. This will hold toasts to a reasonable time limit in general while also not granting drunk or otherwise not-fully-qualified-to-give-a-toast guests access to the microphone. Sometimes a Father of the Bride speech is actually best not during toasts, but right before dinner. If it’s a short-and-sweet thank-you, it’s a better fit before dinner. If he’s planned a multi-page speech, it’s best to have him speak during toasts after/toward the end of dinner you don’t want speeches to keep hungry guests from their food! The Generations Dance is popular enough among our clients to get a spot in our sample timeline above. Not sure what a Generations Dance is? 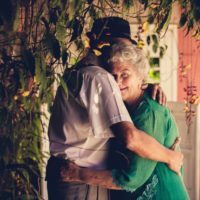 Check out our article: What is the Generations Dance? What we love about this dance is that it celebrates your new marriage while celebrating the marriages of your wedding guests as well. It’s also a non-threatening opportunity for people to step on the dance floor for the first time without committing to all-out party mode (yet lol). It’s the perfect transition into the party itself. Finally, right? Why don’t we recommend breaking up some of the formal events above with a little dancing in between? Here’s why: It’s straight up awkward opening a dance floor, it gets going and then the DJ interrupts with “okay go back to your seats, quiet down so we can listen to toasts for a while.” The order above promotes much better flow AND ensures that once you start dancing, there is nothing that will kill the party vibe, even the garter/bouquet toss! 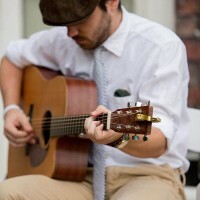 As we mentioned above, only about 30% of clients include both the garter and bouquet toss in their wedding receptions. It is a tradition that, like so many, is slowly fading away into obscurity. Why? Because some brides/grooms just feel awkward about the whole thing. Others would rather not stop the party and keep dancing. For those who do choose to do the garter and/or bouquet toss, they love the tradition and are looking forward to it. The good news: It’s about the only thing that can break up dancing without killing the party, which is why it falls here in our wedding day timeline. It’s quick and you can just right back into partying. Don’t feel like doing it? Doesn’t spark joy? Marie Kondo that 🤐 and move on! Most of our clients plan a send-off involving sparklers, streamers, glow sticks, etc. It makes for awesome photos and a fun way to end an epic day. Others prefer to simply end the night with a bang with no send-off. The reason they choose this option is because they don’t want to be “sent off,” because maybe there’s an after-party, or maybe they’re hanging around for a little while after to hang out with friends. We honestly can’t believe you made this far. Most brides/grooms will hit that sample timeline and roll with it, but you are the type of person to dig into the details and think more deeply. So for you, we have a bonus: The Private Last Dance. We started recommending this to our clients in 2015/2016 and we’ve gotten great feedback. 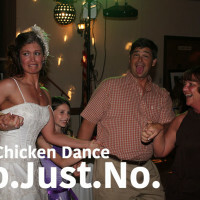 Here’s how it works: After your last dance song, we kick everyone out to prep for the send-off. When the room is empty, the only people that remain besides the DJ to play the special song of your choice, are the photographers (assuming you’d like them to capture it). At that moment, after a crazy awesome wedding day that seemed to fly by so quickly, the two of you can slow down for a moment with no one around to take in the high and just share a dance with each other — no one to dance for, no one to smile for — except each other. We love this dance and recommend it to all of our clients. On your wedding day timeline, it would take place between the last dance(s) and the send-off. Again, please remember that the best way to use this timeline is to use it as a template and then to tweak that template to make it yours. We’re here to help answer any questions you may have as you’re finalizing your timeline, so ask away! By the way, what happens when your photographer paid time ends before the end of the night? Should you do a “faux send-off?” (hint: the answer is probably no). Where should you place your other custom items in the time (your Irish jig dance with your family, your sorority sisters chant, your team anthem, etc.)? 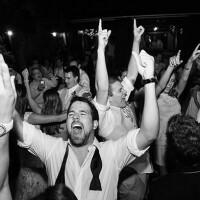 We’ll eventually write posts on some of those topics, but the answer is to ask your DJ and let us help you fit those extra items in the timeline in a way that they’ll flow and add even more depth to an already awesome wedding day. If it sounds fun or unique to you, we say go for it!